2016 Daily Life Woman of the Year, Mariam Veiszadeh is a lawyer, Diversity & Inclusion Consultant, contributing author and a social commentator. Mariam has been a fearless advocate for the past decade, championing the rights of minority groups in an endeavour to normalise ‘difference’ or rather, normality. As a ‘Twitter personality’ her views are frequently sought by the media around race, religion and cultural diversity related issues and her opinion pieces are widely published across various publications. 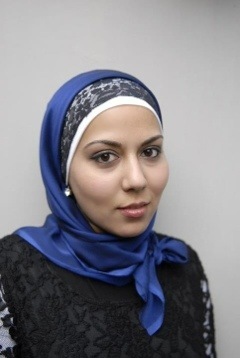 Through her various ambassador roles, including as an ambassador for Welcome to Australia which provides a positive voice in the public conversation around asylum seekers and refugees, and her social media platforms, Mariam advocates for equal opportunity and inclusion for all people within our society. Mariam sits on the Board of Our Watch, a national organisation established to drive nationwide change in the culture, behaviours and power imbalances that lead to violence against women and their children. In 2017, Mariam addressed an audience of approximately 4000+ in her TEDx Sydney talk to shed light on the issue of societal privilege and how it creates an unequal playing field for diverse minority groups. She successfully mounted the case for why cultural diversity targets are required to help create more of a meritocracy and stamp out racism and discrimination in the corporate sector. As a fearless advocate, Mariam is accustomed to being both an advocate against and a victim of xenophobia. In 2015, she made global headlines as she endured months of cyber-bullying for simply speaking out against bigotry. Australians responded by rallying behind Mariam using the hashtag #IstandwithMariam. I was born in Kabul, Afghanistan during the Soviet War in 1984. I, like every other human being living on this earth, didn’t exercise any choice in where, or the circumstances in which I would be born. Due to the Soviet war my family had to flee Afghanistan in 1988. Our journey took us from Kabul to India, to the Czech Republic, followed by Germany and then finally we were granted asylum in Australia in 1991 under the Refugee and Special Humanitarian program. I was enrolled in school both in India and Germany, each time making new friends and learning a completely new language. Upon arrival in Australia I was immediately enrolled into English as Second Language (ESL) classes. Now when I reflect on my humble beginnings, it is still unbelievable to think that I arrived in Australia as a shy 7 year old who couldn’t speak a word of English. I will be forever grateful to Australia for the educational opportunities I have been given and for allowing my family and I, to call Australia our ‘home’. I am often saddened though by the conduct of some of our politicians and media personalities who seem to be peddling peoples’ prejudices rather than challenging them. Multiculturalism is here to stay and not just in the form of Chinese dumplings and Turkish kebabs so let’s all work towards ensuring that the Australia that we all call home, doesn’t just seek to tolerate diversity, but rather, celebrates it. Thank you Jenna Price for writing this wonderful piece about me. Interesting to read about you Mariam. Thank you for standing up for human rights and for your community. I don’t know if you ever read these blogs but I was so inspired by your article post Sydney seige. Often it is adversity which brings us together and we are all Australians no matter the colour, race, or creed. The Muslims that I have met in Australia, are compassionate, loving and friendly people and no matter our beliefs, we all must come together as one, to promote equality and freedom. As Malcolm Turnbull said, we all must engender love. Love is what must hold us together-Christian, Hindu, Muslim, Jewish, Buddhist. Love is in every religion. Mariam it makes be so proud….you have taken so much risk, worked so hard and devoted so much time in promoting the Truth about Islam and defending Muslim rights in Australia. advocates like yourself to speak out the truth. And as Allah (God) has always promised that the truth will always prevail. Australians need to know that not all Muslim Women wear hijab and are stay home mums. There are professional Muslims out there like yourself that apart from doing their professional jobs they are also there to raise community awareness, remove the barriers, prejudice and pave the way to better understanding of their religion and culture to the wider community and promote peace and harmony in the community. The Muslim world is going through hard time at present with most of Civil wars being inflicted up on them but truth will always prevail. We are proud of you and always behind you and above all of us Allah is in your side.